Units sold as a pair. For use on the F41 and WS6 suspension packages. 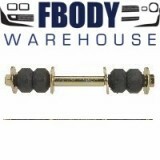 For use on 1 and 1/4 inch front sway bars. 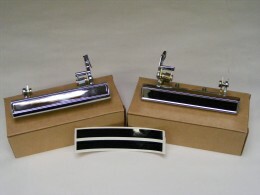 Units fit 1970 1971 1972 1973 1974 1975 1976 1977 1978 1979 1980 1981 model Camaro and Trans Am. 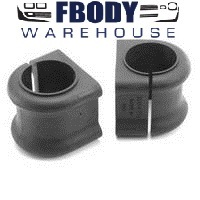 When your front sway bar bushings wear out they tend to affect the feel of the car through the corners and give the car additional unwanted body roll. New units install easily and make a quick afternoon project on your car. 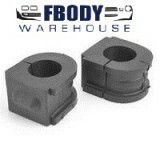 These are OEM quality replacement units in BLACK and are correct rubber replacements. Worldwide shipping also available use the drop down menu below to select shipping locations.